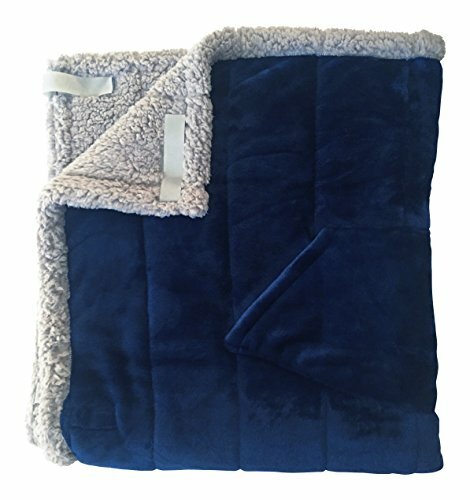 Soft, luxurious warm two layer fleece blanket will keep you warm at home, while traveling, when the heat is a little too low for your comfort or the AC is turned up a little too high. This elegant fleece blanket covers you in fabulous warmth. Our fleece blanket is perfect for unpredictable weather. Large kangaroo style lap pocket allows you to keep hands warm. Polyester; machine wash. Imported. This DOUBLE LAYER fleece blanket is made of a lightweight, warm, and soft fabric. This fleece blanket has some of wool's good qualities but weighs a fraction of the lightest available woolens. Fleece blankets traditionally come in different thicknesses, ours is of the highest quality- buy yours today. We believe that our products can make a difference in quality of life and we are proud to have developed this line of items to help the people we love stay active, independent, comfortable and fashionable. WRAP YOURSELF IN WARMTH: Granny Jo Products' HEAVYWEIGHT Wheelchair Blanket features two layers of soft warm fleece. The Navy Blue top fabric is a ultra-soft mink fleece. The Grey bottom layer is a soft plush fleece. ATTACHES TO ANY CHAIR: Attaches to the wheelchair with four hook and loop fastener straps (two on each side) to attach the blanket to the frame of the wheelchair.